While discussing my first book with a fellow Christian the other day, I found myself explaining for the umpteenth time I didn’t write “Christian” science fiction so much as science fiction with Christianity in it. Then while on the receiving end of another puzzled look, I went on to say I wanted to bring a Christian perspective to a genre and audience that has traditionally been dominated by neo-pagan, agnostic/apatheistic, or atheistic worldviews. While I deliberately integrate faith and devotion into my fiction, and I’ve been accused of proselytizing in doing so, I’m trying (my damnedest) not to resort to Morality-play stereotypes, evangelical tropes, and contrived ‘alter call’ moments. Others may have an element of success doing so, but I’m not interested in following their footsteps. It’s not me, and more importantly, I don’t think that’s what fiction is for. Now perhaps God will use my work to minister to someone, Christian or otherwise. He’s perfectly able and that would be great, but the conventional notion of preachy fiction isn’t my cuppa. At all. I have sermons and Bible studies if you want to hear me do that. Fiction is a different animal that works on different levels than straight-up declaration and exposition. Each has their place. Grace and truth remain, but they’re different vehicles that operate on different wavelengths. As I’ve said before – a novel isn’t a sermon. Gave it some serious thought and my answer is: Men. Specifically Christian or other spiritually-minded men who want their action and entertainment to have a bite of realistic grit and supernatural substance. Of course anyone can read my book, but I’m writing for them. Perhaps I’m writing for myself, as well. To further clarify, let me say I believe in and have experienced the miracle of Conversion, Regeneration and the Fruits of the Spirit, and no I don’t think MMA is any kind of discipleship template, but I am sick and tired of the insipid, predictable, saccharine tripe that’s offered by much of Christian Publishing these days. It sells, I know. There are exceptions, I know. But I don’t think that following Jesus means men have to subscribe to some kind of androgynous ideal of spirituality. Women don’t lose their unique femininity upon conversion; men shouldn’t abandon their masculinity. Oh and buy my book, will ya? Or tell a friend. 1 When the time drew near for David to die, he gave a charge to Solomon his son. Yep. “Be strong and act like a man.” There’s a thought. Funny how the “act like a man” part didn’t require any explanations or qualifying statements. I think you might like Royal Rangers…. knives and hawks, blackpowder shooting, midnight tramps throught the wildernes…. What exactly do you write about? Royal Rangers? Got an Amazon link? I’d love to know more. I write near-future sci fi at the moment, but I’ve got a Fantasy trilogy on the back burner as well as a supernatural horror piece. It’s actually good marketing to say you’re writing for men because women will read anything, but men seem to be more picky (I hate stereotyping as much as anybody, so I’ll add the caveat that this is true from my experience only). Saying your books are for men won’t necessarily preclude females reading your work. 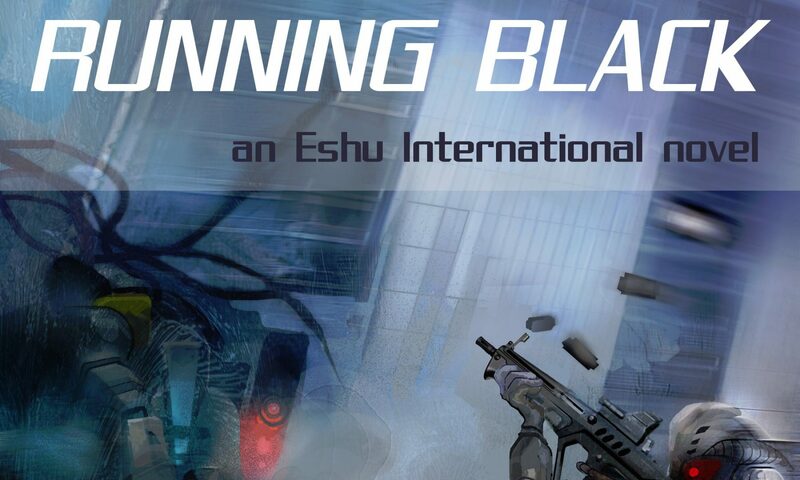 I bought Running Black and enjoyed it for the most part (but I never got around to reviewing it because I realized I hated writing reviews. So much for my career as a reviewer). However, I do wonder why saccharine spirituality is feminine. The implication is not one of femininity, but one of falseness. Of course, to be fair, you did call it androgynous–so, at heart, the spirituality you speak of has lost its impact for both genders. Following along those lines, if your work is masculine, I wonder what true, non saccharin feminine literature would look like. Now that is an interesting question. I’ll have to think about that. Yes, I meant insipid and androgynous as it effect both genders. It’s not the first time in my life I’ve enjoyed a fiction intended for men. Pingback: · Have We Castrated Christian Fiction?